In simplest terms and convenient definitions I am a brunch junkie; I live for the perfect balance of ketchup and eggs, jam and muffins, syrup and toasted confections. And as I was born and raised in northern New Jersey, with easy access to every nook and cranny of New York City, nothing is more enticing than a quick slip down the West Side Highway for a meal at Sarabeth’s. Chef and owner Sarabeth Levine is an acclaimed culinary icon but even more so, she is the ultimate brunch mastermind—and she’s divulged many of her secrets in her new cookbook, Sarabeth’s Bakery: From My Hands to Yours . I couldn’t help but buy this brunch bible when I saw it on the shelves of my local Barnes and Noble. Too often I’m stymied by the extensive lines in front of Sarabeth’s yellow awning: living so close, I can’t fathom waiting so long for an omelet I can easily make at home. 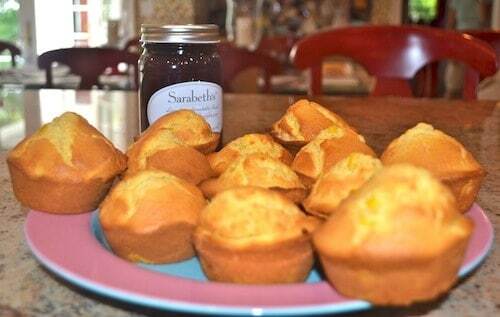 However, what really seals my decision is if I can imagine brunch without a perfectly golden Sarabeth’s corn muffin. It doesn’t matter if there isn’t a crisp chill in the air, tumbling red and yellow leaves, or an anxious feeling that summer is rapidly escaping us; this muffin is flawless in or out of its seasonal stereotype. Thanks to Ms. Levine’s newest publication, brunch enthusiasts like myself can savor Sarabeth’s impeccable inventions in their own kitchen—at home, the only wait is in the cook time. So this Sunday morning, instead of revving up my engine at a godforsaken hour to attempt to beat the crowd, I decided to concoct a Sarabeth’s-worthy brunch with my own two hands—and a little help from Ms. Levine herself on the muffins. For me, nothing defines the breakfast portion of brunch quite like a mastered piece of French toast. I will once again admit that not many can make it like Sarabeth; however, I tried to challenge her, attempting a Bacharach take on this morning delicacy. What makes the difference in my toast is the employment of challah—but not just any challah, a Zomick’s challah, found at most grocery stores (particularly kosher ones) near you. Whoever Zomick is or was did a great job when he whipped together his signature bread: clearly buttered when cooling, the outside of this bread is sticky and soft—even a young crust hater would savor these brown edges—and the inside is eggy and fresh, perfect for absorbing a simple yet foolproof French toast mixture of vanilla, eggs, and milk (I prefer skim). Cook the spinach in a little olive oil over low heat for a few minutes, then drain the excess oil and stir in some goat cheese. The remaining warmth helps soften the goat cheese, so the spinach and cheese can slide out of their skillet together and into the eggs. Try not to add too much salt while cooking, because the goat cheese has plenty. And don’t forget to coat the omelet pan: a little butter or olive oil really helps keep the eggs fluffy and stick-proof. For those city-goers and tri-state area residents, as tempting as Sunday brunch at Sarabeth’s sounds, avoid the extensive wait or the early morning rush and try this balanced spread instead—all you need are a few basic ingredients, a little coaxing, and help from the mastermind herself. Before you know it, your house will have a little yellow awning outside and tourists clawing to get in. Preheat the oven to 400˚ and grease the wells and rims of a standard muffin tin with softened butter or spritz with baking spray. Alternatively, you can line each muffin tin with a paper liner. Whisk the flour, cornmeal, baking powder, and salt together in a small bowl and set aside. Cream the butter and sugar together in the bowl of a stand mixer fitted with the paddle attachment on medium-high speed for 3-4 minutes until pale and very fluffy, scraping down the sides of the bowl halfway through. Slowly drizzle the eggs into the creamed butter and sugar, beating until fully incorporated. Reduce the mixer speed to low. Add one third of the reserved flour and cornmeal mixture, then half the milk. Repeat with the flour, then milk, then finish with the flour, scraping down the sides of the bowl as needed to be sure all the ingredients are incorporated and the batter is smooth. Add the drained corn and stir for 30 seconds to distribute evenly. 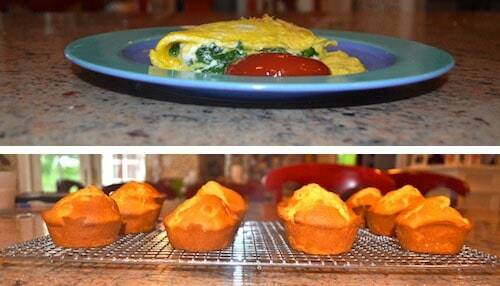 Divide the batter equally between the prepared muffin cups and bake for 10 minutes. Reduce the oven temperature to 375˚ and bake for about 15 minutes more, until the muffins are domed and golden and a cake tester or knife inserted into the center of a muffin comes out clean. Remove from the oven and cool in the pan for a few minutes on a wire rack. Invert the pan to release the muffins, running a knife around any stubbornly stuck muffins if necessary, and cool completely before serving.